Methadone is a potent narcotic analgesic that is typically prescribed for the purpose of managing severe chronic pain and for the treatment of opioid dependency. Methadone has a cross-tolerance with other opioid drugs, such as heroin and morphine, allowing it to offer similar pain-relieving effects over a longer duration of time. It comes in a variety of strengths and in different appearances, such as in a liquid mixture, tablets, or ampoules for injection. One of the most common uses for methadone is for maintenance therapy prescribed to individuals who are attempting to remain abstinent from illicit drugs. The reduction programs enroll participants for the purpose of providing a supervised method of weaning from an illicit drug, such as heroin. When used as prescribed and under the proper supervision, Methadone has been found to be medically safe. Methadone is typically prescribed at a low dosage for patients who are in the withdrawal phase from an illicit drug and given steadily and continually until withdrawal symptoms have ceased. While it can be an effective way to manage withdrawal symptoms from an illicit drug, it is in itself addictive and can easily be abused if not adequately managed. Methadone is also referred to as “Dolls”, “Meth”, “Junk”, “Jungle Juice”, “Chocolate Chip Cookies”, “Pastora”, and “Fizzies”. It is less likely to be abused due its minimal euphoric effects. However, it is still possible for an individual to achieve an opiate rush by crushing and snorting pills. Because improper use of methadone can lead to a dangerous dependency on the drug, it is recommended that this drug only be used under the guidance of an opiate addiction treatment center or as prescribed by a physician. If you or your loved one is struggling with an addiction to Methadone, you may find that enlisting professional treatment will be your best resource for breaking this detrimental addiction. An estimated 1 million Americans are addicted to heroin. About 120,000 people take Methadone to control their heroin addiction . According to a 2012 statement from the Centers for Disease Control and Prevention (CDC), methadone now accounts for nearly a third of opioid-associated deaths . About 20 percent of methadone patients continue the opiate-substitute treatment for more than 10 years . According to the U.S. National Center for Health Statistics, medical examiners had listed Methadone as contributing to almost 4,000 deaths in 2004. 82% of these deaths were listed as accidental, and most deaths involved combined methadone with other drugs . In most scenarios, methadone addicts are typically individuals who are attempting to stop abusing heroin. It is one of the main drugs used to assist an addict in the withdrawal process from heroin. This is due to the fact that this drug can reduce heroin withdrawal symptoms without producing the euphoria or “high” that heroin creates. While Methadone can be effective in the medical detoxification process from heroin, an individual can become physically and psychologically addicted to it. Though Methadone is not as incapacitating as other illicit drugs, such as heroin, it can leave an abuser trapped in the vicious cycle of addiction. Methadone becomes the drug of choice. Since it is often used for long durations of time in these types of programs, many will become dependent on the drug, feeling as though they need it to sustain themselves on a daily basis. These types of situations and exposure can lead a man or woman into an addiction to Methadone. If you or a loved one has been experiencing any of these signs and symptoms, it is recommended that you seek the help of a professional as soon as possible. While the physical effects of a Methadone addiction may be the most obvious, these consequences do not yield there. Since Methadone can be taken for long periods of time at large dosages, it can lead to a withdrawal period that is longer than normal, up to 5 or 6 weeks. 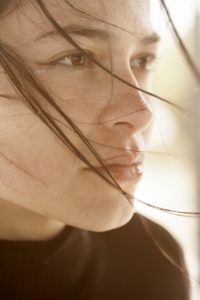 Withdrawal symptoms can potentially affect both the body and the mind as a methadone addiction involves both a physical and psychological dependency. During the state of withdrawal from methadone, the body will attempt to reestablish normality from the interference of the drug within its systems and the dysfunction the drug may have caused. If you or your loved one is considering withdrawing from Methadone, it is critical to have the help and guidance from a medical professional. The immediate withdrawal from Methadone could cause withdrawal symptoms to worsen significantly, and it is recommended that Methadone is decreased in tapering doses. Having the support of a Methadone rehabilitation center and treatment team can ensure the safety of any individual desiring to withdraw from the drug while creating long term success for recovery. Methadone addiction can quickly debilitate the invaluable aspects of your life if not treated professionally. If you or a loved one is struggling with a methadone addiction, the first step towards overcoming this is by recognizing the problem. Only then can you have the strength to confront the reality of your addiction. Obtaining professional help is crucial to dealing with the complications that may have resulted from methadone use. Though you may feel overwhelmed by an addiction to Methadone, you do not have to be alone. Having the help of a professional team and Methadone rehab center will allow for the best care and treatment, and ultimately, give you the tools you need to overcome this addiction. When people are able to make the decision to quit using, and seek out professional treatment in order to help them do so, they are often prescribed methadone as part of their detoxification process in order to help alleviate their symptoms. The problem with this, however, is that methadone itself is a synthetic opiate and can cause addiction. Learn more about how heroin use leads to methadone abuse here. Natural detox methods are especially beneficial to drug addicts that have many artificial chemicals moving through their system already. Some detox methods involve drugs such as methadone, which, while approved as a way to wean someone off opiate dependence, is still an analgesic (painkiller) itself. : “Increases in Methadone-Related Deaths:1999-2004” Center for Disease Control and Prevention.